The company was founded in 2010 and has since grown at an annual rate of 70 percent. Kivimäki says that Infrakit is being used on almost all large infrastructure projects in Finland, and increasingly on smaller projects. The user base is gradually spreading abroad – today, subsidiaries can be found in Norway and the Netherlands. The idea behind Infrakit is to receive and distribute intelligent information about the progress of a project in a focused manner, in real time. 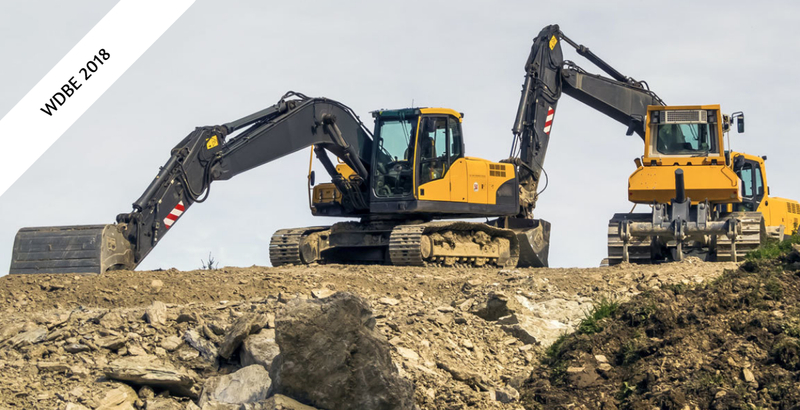 For example, the driver of an excavator can use the screen of the control system to see much faster than before how much ground he needs to dig in order to reach the starting height. In parallel, the client can monitor the quality of the excavation in real time and approve it or request corrections. Until recently only excavators have been linked to the service, but now also rock drills can be added to the map view. That is partly because Infrakit received KIRA-digi funding in the fall of 2017 for their project developing a digital process for rock excavation drilling, to replace the previous paper-based design process. The pilot project was carried out in collaboration with Sandvik, with the goal of finding a way for the drilling units to communicate in Infrakit by using open interfaces. “Design information on the drilling and measured information on the drill holes can now be monitored in our centralized cloud service,” Kivimäki says. As with the rest of the construction industry, productivity in the infrastructure industry has lagged behind other industrial sectors. According to Kivimäki, digitalization has significantly improved the productivity of infrastructure projects, even if there is still a long way to go. “Our clients in Finland have estimated that project lead times have been reduced by one-fourth, and project costs have been reduced by over ten percent with digitalization. The advantages of machine control, surveying equipment, and Infrakit often go hand in hand,” he argues. Now it is also possible to link external surveying equipment to a tablet with the Infrakit field app. Kivimäki notes that because of this, the accuracy of the measurement is the same as with machine control. The foreman can use a tablet and an attached external GNSS receiver to check on the heights of structural layers, for example. There is an ongoing discussion about when construction sites will become paper-free. 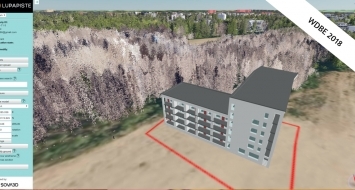 According to Kivimäki, this is not the norm yet, since at the very least the plans are printed out and hung on a site’s office wall, even though information modeling and machine control have become more widespread in recent years. Clients often demand BIM – planning of infrastructure projects based on information modeling –because it affords additional time for planning and also enables visualizing projects for residents, among other reasons. In addition, 3D machine control, which refers to a guidance system based on digital planning information, is often required for excavations. 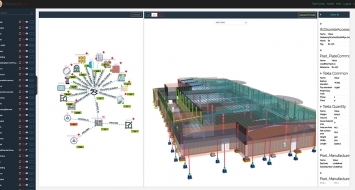 “Information modeling and machine control have become the norm in infrastructure projects,” Kivimäki says. Then again, there is still room for improvement. With the Infrakit cloud service, all parties on a project know what the others are doing, and the information on the server is the same for everyone. Faster transfer of information results in faster decision-making. Plus, each working machine has information about the latest materials, so the driver doesn’t need to wait for the surveyor. Another clear difference is that the need for surveyors has been reduced. The chief surveyor no longer needs to spend time walking around the construction site; instead, he can manage the information models in the office and make sure they are delivered to the correct people. In addition, the foreman doesn’t need to wait for the surveyor to tell him where to place a well or a lamppost, for example.